The Vice President, Arab Academy of Egypt, Balbaa Alsnosy, has urged Nigeria Government not to neglect seafarers, as they are very vital to the economy of any country in the world. Alsnosy, who revealed that captains are paid over N5million monthly, said if 1,000 captains earn such amount and invest in Nigeria; it would drastically improve the country’s economy. Speaking at the just-concluded flag-off ceremony of the first phase of the Nigeria Maritime Administration and Safety Agency (NIMASA), fully sponsored sea-time training for cadets, Alsnosy said Nigerian cadets had demonstrated good behaviours, which reflected in their performances. 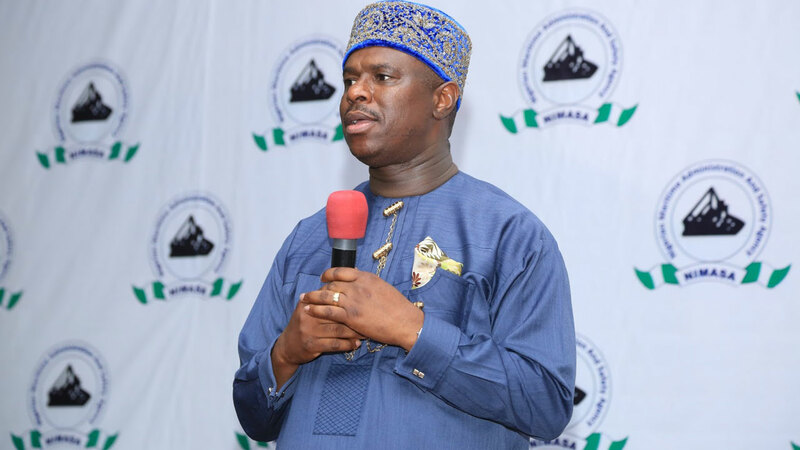 The Director General of NIMASA, Dakuku Peterside, disclosed that the programme has over 243 graduates and 1,600 cadets at various stages of completion of the programme out of which 887 are ready for sea-time training. Peterside noted that sea-time training is a critical aspect of the training of seafarers, as its entails practical on-board training on sea vessels, with cadets spending a minimum of nine to 12 months on board ocean going vessels.He affirmed that one of the biggest challenges is sourcing for berth spaces for the cadets, as berth spaces are not easy to come by, coupled with the desire of this administration to follow due process in all its dealings. 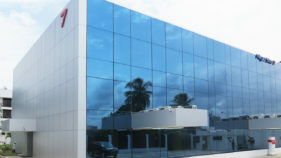 He however said they are pleased not to fall into the temptation of taking shortcuts at any time, adding that they have engaged various Maritime Training Institutions to provide this essential service. “I stand before you to announce that 150 Nigeria Seafarers Development Progamme (NSDP) Cadets are bound for the Arab Academy for Science, Technology and Marine Transportation in Alexandria, Egypt, for the commencement of their on-board training in the first phase of the fully sponsored batch. In addition, another group of 89 Cadets also within the first phase will be proceeding to the South Tyneside College (STC), U.K. for their on-board sea time training, making a total number of 239 cadets in the first phase of this programme departing to Egypt, which consist of 77 deck and 73 engine cadets. “The Nigeria Seafarers Development Programme was conceived in 2008, as a deliberate policy to ameliorate the dearth in certified and qualified seafarers and of course the depletion of seafarers in our national pool due mainly to age and migratory instinct for greener pastures by seafarers. 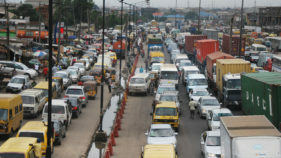 The NSDP scheme was timeously implemented in September 2009, to compliment full implementation of the Cabotage Act, 2003, which in itself is geared toward strengthen indigenous tonnage capacity with one of its cardinal objectives being coastal vessels are to be exclusively manned by Nigerians,” he said. The dearth in certified and qualified seafarers in Nigeria was a poignant reminder and a wakeup call for agency, the NSDP scheme has not looked back since September, 2009,” he said. 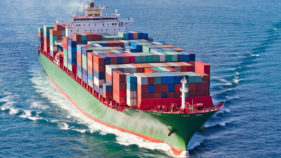 He announced that the agency has painstakingly chosen the Maritime Training Institution strategically to position the country in a bilateral relationship to boost the acceptability of Nigeria certificate of competence (CoC), or tickets in other climes with the long term goals of providing more jobs for Nigeria seafarers on board vessels from other nationalities. He further said the process and effort put by the agency to arrive at this auspicious occasion has been enormous, but it is a social responsibility the agency has shouldered and they are sure that the maritime sub-sector of Nigeria will be better for it as the fruit of the reward will be in multiples. While congratulating all the cadets, who are on the list for the on-board training, he urged them to be good ambassadors of Nigeria in Egypt, adding that everyone will be offered an opportunity to go on sea-time in 2018, and beyond according to schedule for the cadets who did not make the list. At the event, the 20 seafarers who graduated with distinctions were honoured with automatic employment, and scholarships also awarded to three female cadets with distinction, and over N8million were given to encourage cadets who graduated with distinction.